"Is Holly Madison the world's most adorable pseudo-celeb? By the looks of her recent getup on the red carpet, we're leaning towards a resounding "yes." The former Girls Next Door reality star showed up to an event in Las Vegas sporting three of the most wonderful, eye-pleasing colors - pink, white and black. The pin-thin Playmate reminded every girl out there that pairing these three hues together is one of the wisest choices in the world. Girls who are in the midst of uncovering the ultimate semi-formal dress may want to follow Madison's lead. Try to choose a pink cocktail piece that features small black details and pair it with shiny white heels. 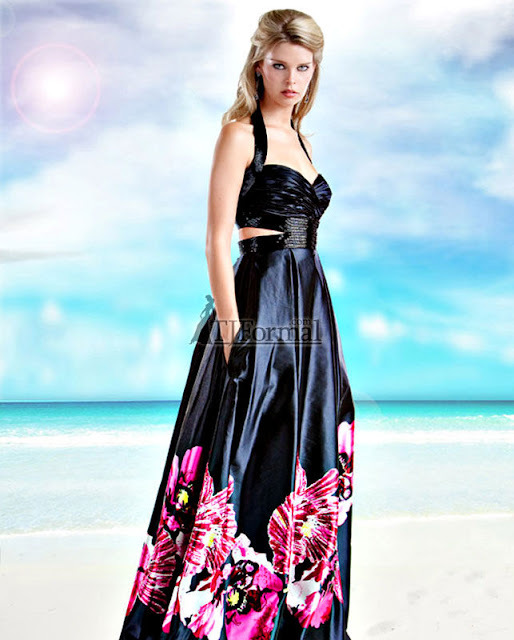 Or, look for a black mini-number that has a white ribbon, and sport pink ballet flats along with it. Girls should be sure to stay true to their own sense of style. Still, those who are unsure of what colors to wear at their next big event should remember that pink, white and black is a trifecta of terrific-ness." Pink, white and black is such a great color combo! I love all these dresses! I'm not even a huge pink fan, but I do love this look!